SK 1/c Dee W. Martin, son of John T. Martin, attended Tipton School; husband of the former Aurda Dunn. Entered Coast Guards in 1942, trained in New Orleans, La. 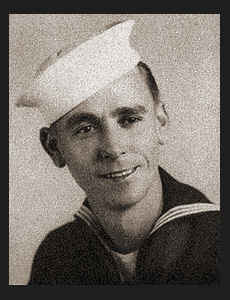 ; served in Africa; was discharged in Nov.,1945. Awarded Am. Theatre Ribbon with one Battle Star, EAME Ribbon with one Battle Star, Good Conduct Medal.